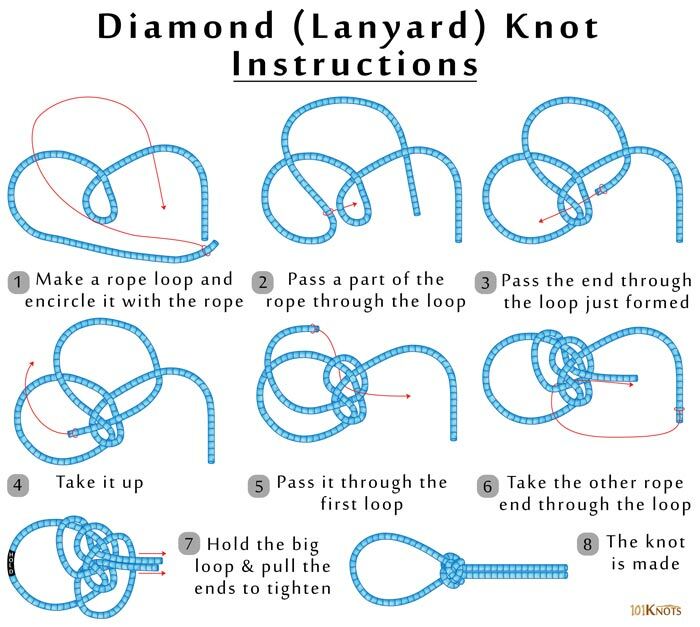 The diamond knot is used to make a fixed, decorative loop at the middle of a cord that could be a lanyard, paracord, leather, rope, etc. It is also known by the names Bosun’s whistle, lanyard and knife lanyard knots. 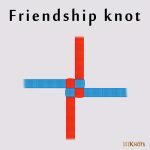 The two strand knot that is implemented here in a single strand can be made with two ropes or a single rope. Though it looks hard to tie at first, it becomes easy and quick with practice. It is best to start with at least 2 ft of rope. Once you have learned to tie it well, it can be made with as little as 1 ft of rope. Note that the first few steps are similar to making a Carrick bend. 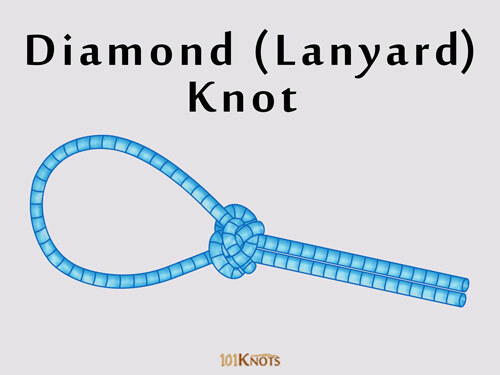 Double diamond knot or double lanyard knot – More complex and decorative. It is made with two strands. On knife tassels and key chains. In necklace, earring, pendant, bracelet and ring designs. Carrick bend – Mainly used in joining two ropes. Not a loop but ornamental. Chinese lanyard knot – Multi-stranded decorative knot.